This beautiful table features unique design and extended accommodation. 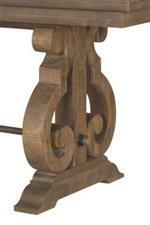 Crafted with Pine solids, the table showcases two intricate pedestal bases with a pipe trestle accent. Highlighted by a weathered barley finish, the table includes two 16" butterfly leaves for extended gatherings of friends and family. Transitionally-styled, this table makes a wonderful centerpiece for your versatile dining space. 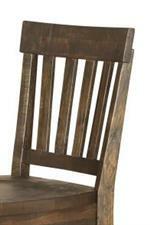 Solid pine slat back side chairs complete the seating. The Willoughby Solid Pine 7-Piece Rectangular Dining Table Set by Magnussen Home at Reeds Furniture in the Los Angeles, Thousand Oaks, Simi Valley, Agoura Hills, Woodland Hills, California area. Product availability may vary. Contact us for the most current availability on this product. Handles & Hardware Antique Brass with Pewter Overlay. Case Construction Pine Solids, Plywood, Metal, Levelers. 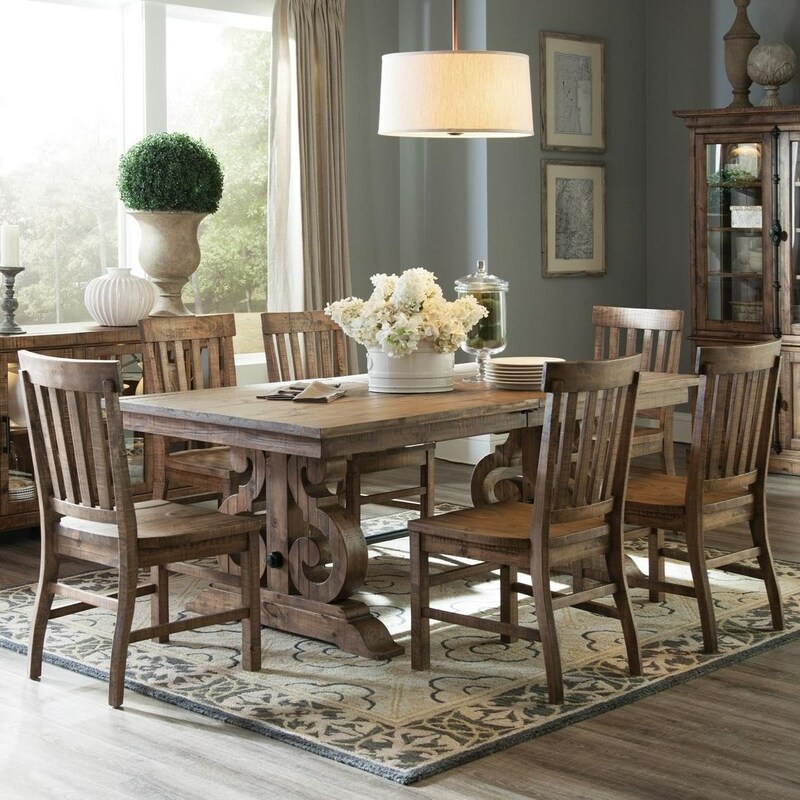 The Willoughby collection presents transitional dining furnishings with a rustic flair. 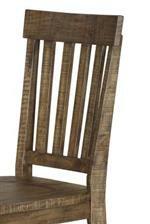 Crafted with Pine solids, the pieces feature three-way touch lighting, wire management, adjustable shelves, butterfly leaves, slat backs, and other design highlights. Completed with a weathered barley finish, these pieces will transform your dining experience with timeless allure for years to come. The Willoughby collection is a great option if you are looking for Transitional furniture in the Los Angeles, Thousand Oaks, Simi Valley, Agoura Hills, Woodland Hills, California area. Browse other items in the Willoughby collection from Reeds Furniture in the Los Angeles, Thousand Oaks, Simi Valley, Agoura Hills, Woodland Hills, California area.